Most of the applications we use daily, have a lot of features but actually most of the features remains unused (in many cases). Those features/options are actually nothing but distraction, specially when it comes to writing (I mean creative writing). I love writing, for a writer – the most important thing is text (not the icons or buttons of the application). 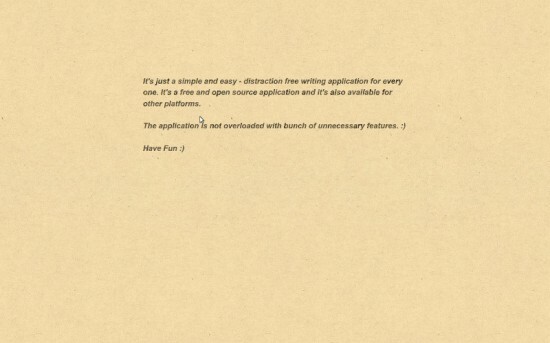 So I prefer distraction free writing apps because it allows me to focus truly on text, nothing else. There are lot of such apps/tools available for Ubuntu and other GNU/Linux distributions – some are also available in software center. Additionally, you can also try apps (e.g Libre Office) in full screen mode for better concentration. Why Go for a Distraction Free App ? Catlooking has very few options (that’s really good) – that you get in beginning or after the mouse hover to top. The file is automatically saved after few seconds (even if you accidentally close the file or Operating System crashes), later you can export to your hard drive. There are two options for theme – day (the default one, as you can see in screenshot) and night. Download Catlooking (From Official Website) , then open the *.deb package with Ubuntu Software Center or gdebi package installer, You can also check the Github Page (for latest version). 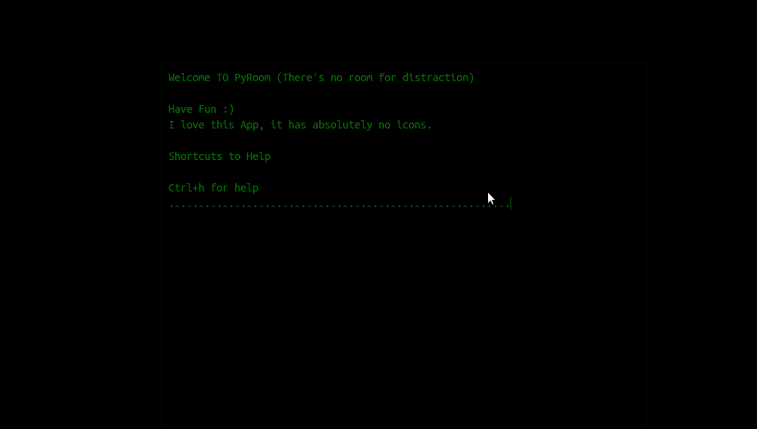 PyRoom is full screen – distraction free text editor. 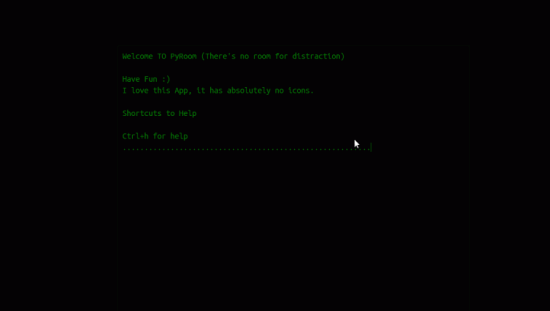 It has no icons or options in main screen, although there are few keyboard shortcuts to use the features available in pyroom. 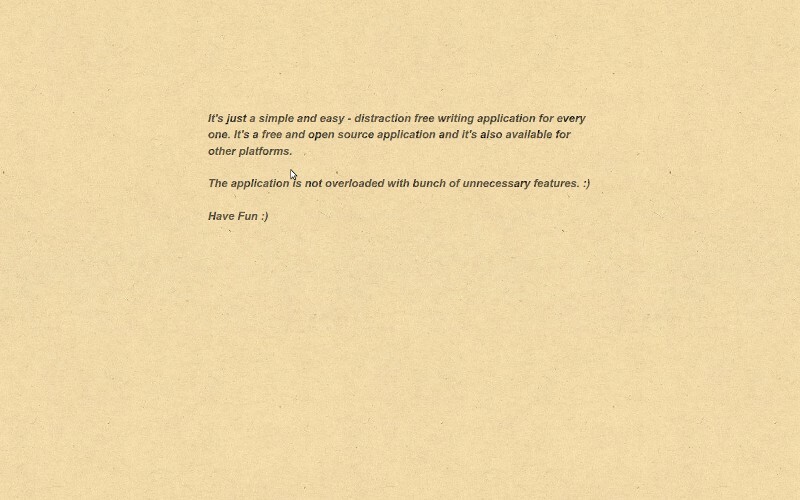 There are lot of themes available to try, you can even create your own theme (hit Ctrl+p). 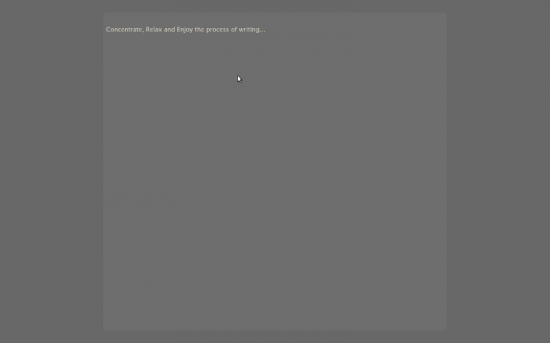 FocusWriter is also a distraction free environment for writers, with a some nice features including formatting options and lot more. It’s good if you want more features than the PyRoom or Catlooking. The main icons are hidden during the writing process. So it’s like a LibreOffice in Full Screen Mode, but with less distraction of course.